Home | CLEARANCE | Inflatable Under the Sea Animals, 6 pcs. 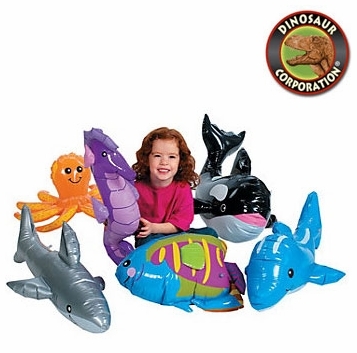 Inflatable Under the Sea Animals, 6 pcs. Only 1 Set Available. Order Soon. Inflatable Under The Sea Animals. The octopus, whale, shark and dolphin have weighted bottoms.